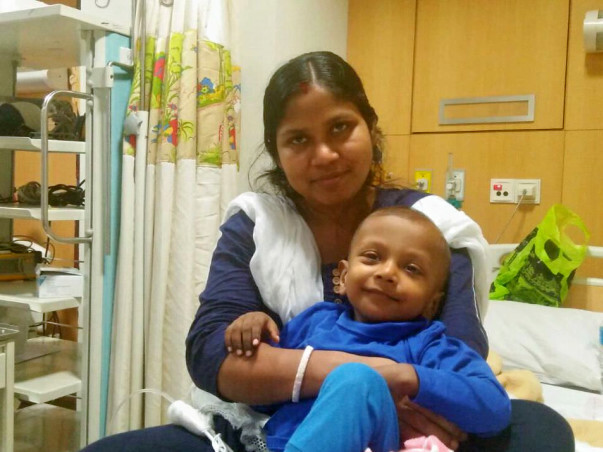 Arnav is 1.5 yrs old, presently admitted at Tata Medical Center for Cancer, Kolkata, India. Arnav is getting treated for neuroblastoma. 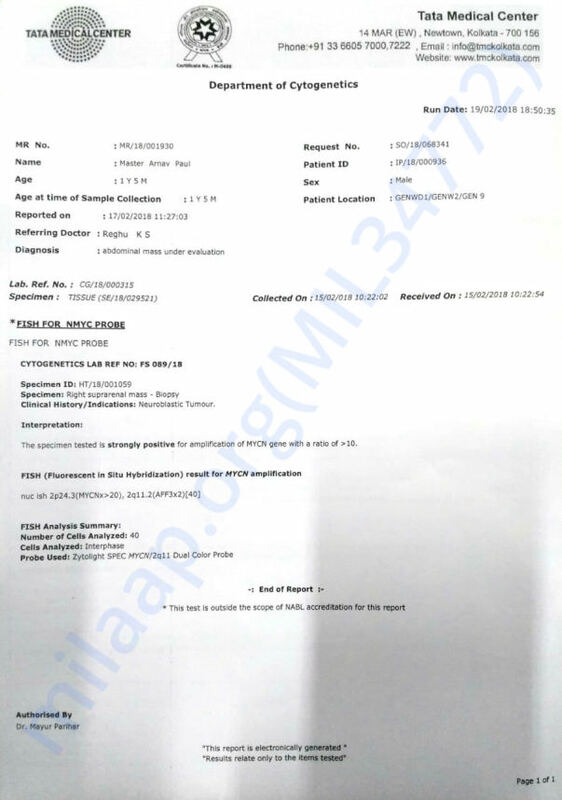 He had to be taken for emergency laparotomy and subsequently the tumour showed N-Myc amplification. In layman’s words his tumour bursted, emergency surgery was done and tumour biopsy report is positive. Arnav is a fighter, the surgery lasted 10 hrs and Doctors were doubtful if he will survive the night. He has survived and came out of ventilator after a week. He has got his first chemo. His next surgery is scheduled after 80 days which will have to be followed by stem cell treatment. His young parents are from a very humble background and are wonderful human beings. They are struggling to raise fund for the treatment and pay huge hospital bills. Please come forward generously to save Arnav. Thank you all for immense love and support! Arnav is presently at home and undergoing oral chemotherapy. The family has applied for PM funds as well. Kindly keep supporting and sharing the campaign. Will keep you posted. Please pray for Arnav, today he is undergoing his second surgery. He has responded very well to the chemos, so after pet CT scan Doctors decided to operate to remove the remaining tumors and tissues. Thank you so very much for your love and support for Arnav. Baby Arnav has undergone seven cycles of chemotherapy and he has responded well to the treatment. We have to visit the hospital for the routine check-ups so that his next level (high-dosage) chemotherapy can be started followed by the radiation therapy. There are regular side effects due to the chemo like weight loss, weakness, etc which the doctors say that he will be recovering from them soon. We request all of you to please share this campaign as much as possible. Thank you for the love and support you have shown Arnav!